The end is almost here for AMC’s hit horror serial The Walking Dead. The fifth season of The Walking Dead just wrapped this past Sunday. And as fans count down to the sixth (and supposedly last) season of the hit drama, Anchor Bay Entertainment has wasted no time announcing the home release date for the series’ fifth season. Anchor Bay Entertainment announced today that The Walking Dead: The Complete Fifth Season will be released in stores and online Tuesday, August 25th. It will be released on both DVD and Blu-ray + Digital HD combo pack. Veteran musician Randy Bachman has spent the better part of his adult life crafting songs that are known today as some of the rock realm’s greatest compositions. Whether as a member of Bachman Turner Overdrive, The Guess Who, or as a solo musician, Randy Bachman’s music is considered by rockers of all ages to be some of rock’s greatest even to this day. 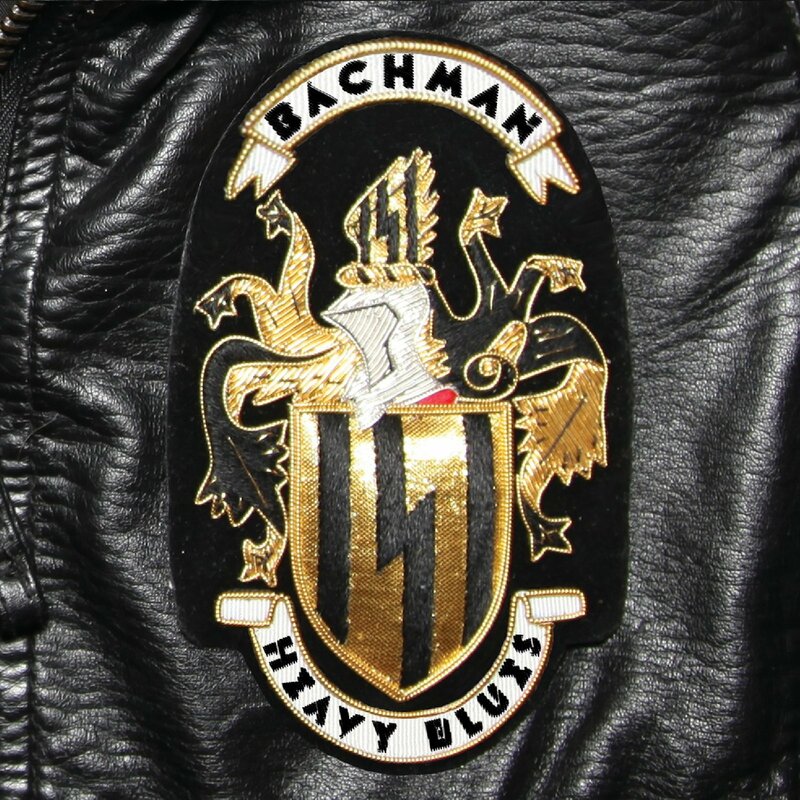 And with his latest solo effort Heavy Blues Bachman continues to justify that reputation even more. Heavy Blues will hit store shelves on Tuesday, April 14th. it is an aptly titled record considering the blues-based rock that makes up most of the album’s eleven total tracks. Perhaps the only exception to that rule is the album’s deeply emotional closer ‘We Need To Talk.’ That song aside, Heavy Blues still stands as a record that every rock purist should add to his or her own music library. From its straight forward, seemingly Steve Miller/The Who-inspired opener ‘The Edge,’ to the gospel and blues-infused ‘Oh My Lord’ to that much deeper, more moving closer, there is plenty for rock purists to appreciate in this album. That includes the pieces not noted here, either. All eleven tracks taken fully into consideration, Heavy Blues proves itself to be a record that is a full breath of fresh air and reminder of all that once made rock great and always will. Randy Bachman’s latest full length effort Heavy Blues is, as already noted, a breath of fresh air in an age in which rock seems continually dominated by cookie cutter bands dominating mainstream rock radio stations and equally sound-alike acts dominating the heavier side of the rock realm; bands whose songs consist of indecipherable, cookie monster-like growls, machine-gun speed drumming, and crunching, down-tuned guitars. It is a reminder of all that once made rock great and always will regardless of which bands dominate the airwaves and the underground. This is exhibited right off the top in the album’s bombastic opener ‘The Edge.’ The song boasts quite the similarity to works from the likes of both The Who and The Steve Miller Band among others stylistically speaking. Whether or not that was intentional is known only by Bachman himself. Regardless, the combination of those influences in this song serve to make it the perfect choice for Heavy Blues’ opener and a great addition to the album overall. That bombastic style is an equally fitting match for the song’s lyrical side. Lyrically speaking, the song presents a figure that is looking at the world with eyes wide open and a bright spirit. He is someone that is ready to break out and explore the big, wide world with so much gusto. He sings to his mother, “Goodbye mama/I ain’t comin’ home/There’s a big world out there/I’m goin’ it alone/Leave behind the knockers/I just gotta chase the dream/I wanna be somebody and I gotta be free.” He goes on to sing in the song’s closing verse, “I might be wrong/But I’ll take that chance/Falling down and getting up/Is part of the dance/Wanderin’ in circles/Trying to find a place to be/I wanna be somebody and I gotta be free.” Whether male or female, such mindset and energy is something to which even today’s youths can relate. The song’s ability to reach across the generations with such lyrics and musical power makes it a great opener for Heavy Blues and just one of many examples of why every rock purist should have Heavy Blues in their music library. ‘The Edge’ is a great start for Randy Bachman’s new album. It is a song that stretches across generations both with its music and its equally positive and explosive lyrics. It isn’t the only positive boasted by Heavy Blues, either. The hybrid blues/gospel-infused ‘Oh My Lord’ is another great example of what makes this record such a standout opus. Fellow veteran musician Robert Randolph (Robert Randolph and the Family Band) joins Bachman on this song to make for a piece that is one of the highest of the album’s highs. While Randolph provides no vocals for the song, his added talents on the steel pedal add quite a bit of spice to the song. Lyrically, it offers just as much depth for listeners. It notes that for all the bad times in life, a person has to endure and push through, no matter what. As Bachman sings, “Young and restless, outta control/You gotta let the bad times roll/Be careful what you wish for, diamonds or gold/You gotta let the bad times roll/Life is just a gamble, you gotta take control/You gotta face the storm and let the four winds blow/When you roll the dice, it’s all about the throw/You gotta let the bad times roll.” Bachman comes across as saying that people have to take the bad with the good and just face it all rather than try to run and hide from it. Hiding from the bad times only makes things worse. Facing the bad times is tough, but it makes a person stronger for having done it. As with ‘The Edge,’ these are lyrics that cross generations. They are words that are just as relevant to today’s youths as to those that were youths when Bachman was himself younger. Once more, that combination of infectious blues and gospel-infused music coupled with equally substantive lyrics shows why Heavy Blues is such an enjoyable record for rock purists of every age and why it in whole proves to be potentially one of this year’s best new rock records. Both ‘The Edge’ and Oh My Lord’ serve in their own way as prime examples of why every rock purist should hear Heavy Blues if not have it in his or her own music library. Both songs present wholly different sounds yet sounds that will impress rock fans of all ages. The lyrical content of each song makes each one even more enjoyable and impactful. While both songs provide a certain amount of substance to the album in whole, they certainly are not all that make Heavy Blues so impressive. The album’s closer ‘We Need To Talk’ stands out completely from the rest of the album’s compositions. Yet it shows in its own way one more way that this album shines. Given it probably should not have served as the album’s closer considering the energy exuded by the rest of the album’s songs. But stylistically and lyrically speaking, it is a powerful and moving song in its own right. The song’s musical side presents a figure going through the sadness and uncertainty that comes with an impending breakup. The gentility in Bachman’s voice coupled with the song’s reserved sound set against its 3/4 time signature makes it a song that will tug at listeners’ heart strings like no other. The song’s lyrical side will tug at listeners’ emotions just as powerfully as Bachman sings, “I braced myself for the worst/Whenever you hear those words/Something don’t fit/Something went wrong/Something don’t work and something’s all gone/That’s just the way it is, we need to talk, she said.” Just as with ‘The Edge’ and ‘Oh My Lord,’ the lyrical content presented here is content that transcends generations. Bachman paints a vivid picture of a young woman trying not to hurt a man as she tells him that their relationship has come to its end. There are thousands of songs about breakups that have been crafted by acts across music’s many genres throughout the modern history of music. But few tell the actual story of the breakup. And just as few tell the story of that moment with such clarity and emotion. Because of that, ‘We Need To Talk’ proves itself to be one more of the most important moments of Heavy Blues even as much as it stands out from the rest of the album’s songs. It isn’t heavy in the traditional sense. But its combination of moving lyrics and music make it a heavy song in its own right. And it makes it one more great examples of what makes Heavy Blues such an important addition to any rock purist’s music collection regardless of said listeners’ age. Together with the likes of ‘The Edge’ and ‘Oh My Lord,’ the combination of all three songs( and those not noted here) shows exactly why this record could potentially be one of the year’s best new rock records. Discovery Family’s hit animated series Littlest Pet Shop has proven to be one of the network’s top rated shows ever since it made its U.S. debut three years ago in 2012. Thanks to that popularity, the series has gone on to generate seven DVDs containing a handful of episodes from the series. Each of those compilations have themselves garnered their own positive results both in terms of reaction from audiences and in terms of sales. That success has continued this year as Shout! Factory Kids released the eighth compilation of episodes from the series earlier this month. 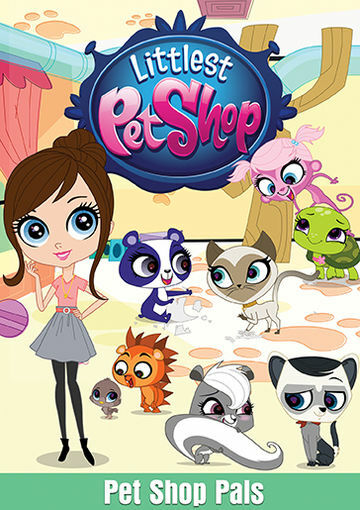 Littlest Pet Shop: Pet Shop Pals was released in stores and online on Tuesday, March 17th. The newly released DVD is *ahem* more wild fun for the whole family. The most obvious reason for this continued enjoyment is the work of the show’s writers. The episodes collected for this latest compilation each exhibit their own solid writing that is sure to entertain any of the show’s target viewers. This is regardless of whether or not said viewers have seen the chosen episodes. This ties in directly to the second of the positives of the episodes. That second positive is the run time of each episode. Each episode runs roughly twenty-two minutes. Considering the average age of the show’s target audience that run time is just long enough to keep those viewers engaged. Add in the solid writing of each episode and this collection shows even more why any of the show’s key viewers will enjoy it. Last of note in regards to this latest compilation is the inclusion of a bonus sing-along. The sing-along is connected to the included episode “Lotsa Luck.” It runs just over the ninety-second mark. But it will entertain the show’s young viewers just as much as the episodes themselves thus rounding out this collection. The sing-along by itself will in fact achieve its goal of having young viewers singing and dancing along. Together with the episodes’ solid writing and their run times, Littlest Pet Shop: Pet Shop Pals proves in whole to be yet another welcome addition to any family’s home DVD library. Littlest Pet Shop: Pet Shop Pals is not the first collection of episodes from Discovery Family’s (formerly Hub) hit animated series to be released since the series’ debut back in 2012. It is in fact the series’ eighth compilation to be released to date. That aside, it is still another welcome addition to any family’s home DVD library regardless of how many of the previous collections families already own. One reason for this is the work of the series’ writers within each of the DVD’s five episodes. One example of the writers’ talents in this collection is the story presented in “Helicopter Dad.” It sees Blythe starting to break away from her dad. This results in her dad trying too hard to connect with her. The way that the writers present this change in the father/daughter dynamic is actually relatively realistic. It could apply just as much if it were a father/son relationship. Of course there are some moments that are a little bit over the top. But those moments help to keep the story lighthearted and in turn entertaining. “Lotsa Luck” is just as entertaining but for a completely different reason. The writers behind this episode present a story with two wholly different story lines. One story sees Blythe discover that Miss Anna T. has a long-held secret talent. The other sees Pepper the skunk trying to impress a famous comedic orangutan that she has looked up to for a long time. While they are two different stories, both have the same underlying plot. Because of that, the writers were able to easily connect them for one whole that is in turn simple to follow and thus fully entertaining. On another note, the subtle joke in Miss Anna T.’s flashback about the moon landing will have older audiences laughing in their own right. It’s just one pop culture reference that audiences will appreciate in these episodes, too. There is a blatant spoof of Mel Gibson’s 1995 drama Braveheart in the disc’s opener “Books and Covers.” This will have older audiences laughing just as much as the moon landing reference. Whether for these writing elements or for those not noted here, audiences will find plenty of ways that the writing in these episodes make them so enjoyable. In turn, audiences will agree that those many elements go a long way toward making Littlest Pet Shop: Pet Shop Pals such a welcome addition to any family’s home DVD library. The writing that went into each of the episodes included in Littlest Pet Shop: Pet Shop Pals is in its own right quite important to the overall enjoyment of the DVD. It’s not all that makes these episodes work so well, either. The run time of each episode is equally important to the presentation in whole. Each episode presented here runs roughly twenty-two minutes. At five episodes, that equals to roughly 110 minutes. Considering that this series is aimed at audiences about 5 years old to perhaps 6 or 7 years old, that run time is just long enough to keep those intended audiences engaged without losing them along the way. This is just as much the case without commercials segmenting the episodes as with them. The solid writing of each episode coupled with that run time makes for even more reason to applaud these episodes. It is another tradition continued from the series’ previous DVD sets that audiences of all ages will applaud. Because it is a standard carried over from those previously released DVDs, it shows that continued dedication to entertaining audiences as best as possible. In the grand scheme of things it makes Littlest Pet Shop: Pet Shop Pals that much more worth the addition to any family’s home DVD library regardless of how many of the previously released DVDs families already own. The writing behind each episode of Littlest Pet Shop included in this disc is just as important to the overall enjoyment of the presentation in whole as the run time. The two elements together make this latest collection of episodes well worth the purchase by any family with young ladies in the household. While both noted elements are of the utmost importance in the enjoyment of Littlest Pet Shop: Pet Shop Pals, one would be remiss to ignore the bonus sing-a-long included with the package. The bonus sing-a-long is part of the episode “Lotsa Luck.” It is actually part of the episode itself. The people at Shout! Factory Kids have simply taken it and lifted it from the episode to make it its own stand-alone entity of sorts. This allows the show’s young audiences to enjoy the song, singing and dancing along, without having to fast forward to it every time they want to do so. It’s one more way that Shout! Factory Kids has made this DVD more enjoyable for audiences. And together with the solidly written stories and smart run times, the package in whole proves without a doubt a great addition to any family’s home DVD library regardles of whether or not they already own any previously released Littlest Pet Shop DVDs. 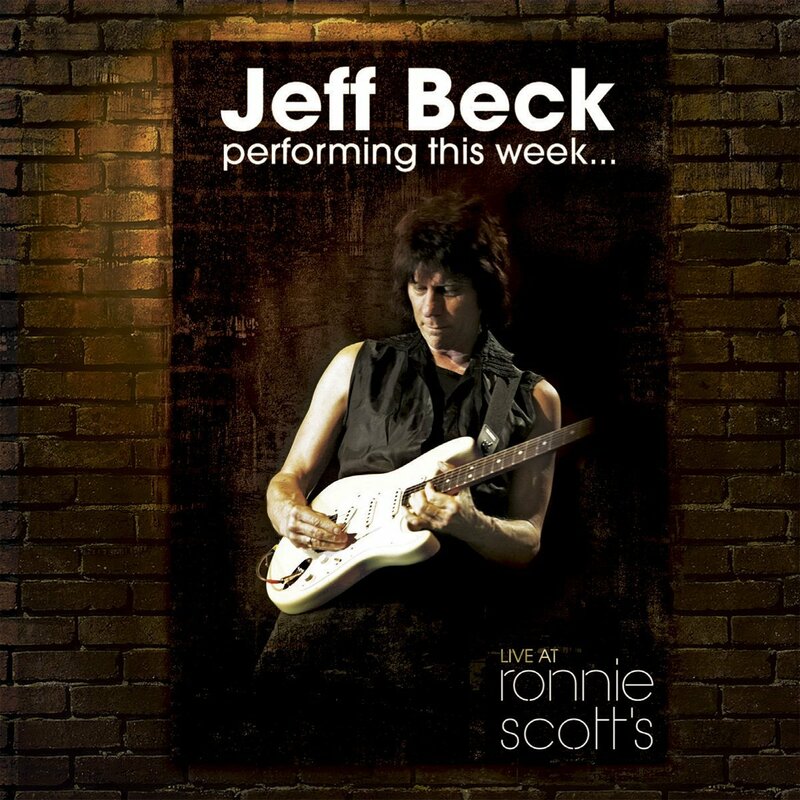 Eagle Rock Entertainment will release another new archived performance from legendary guitarist Jeff Beck this summer. This past February, Paramount released to DVD for the first time the 1977 Peanuts “movie” Race For You Life, Charlie Brown. Its recent release marks the first time ever that it has seen the light of day on DVD. It wasn’t even included on either of the Peanuts 1970s Collections released by Warner Home Video in 2009 and 2010 respectively. As long as audiences have waited for this movie to finally be released, its release back in February of this year proved to be anything but outstanding. Interestingly enough, WHV didn’t handle Race For Your Life, Charlie Brown. It was actually handled solely by Paramount, one of Hollywood’s Big 5 Studios. Considering this one would have thought that Paramount would have taken more pride in its product than WHV. Alas, that wasn’t the case with this release. It is a bare bones presentation lacking any bonus material for audiences. That will be discussed later. The movie itself presents an enjoyable story. And the overall presentation looks and sounds great. 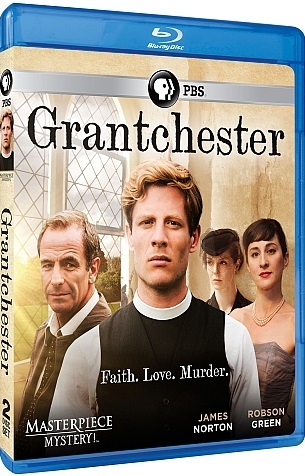 But that glaring lack of ANY bonus material hurts the overall product in a big way. The end result is a DVD that any Peanuts fans will welcome in their home library, but will do so very begrudgingly. It proves to be a DVD that Paramount should have handled far better than it did especially after making audiences wait nearly four decades for it to receive a DVD release albeit a DVD release that could have been far better. Audiences have waited nearly forty-years for Paramount’s recent release of Race For You Life, Charlie Brown on DVD. Considering the wait, it goes without saying that the wait was not entirely worth it, going through this DVD. That will be discussed shortly. It isn’t all bad, though. The movie itself presents a fun story that takes both the Peanuts gang and audiences out of the typical world created by the Peanuts TV specials. Peanuts creator Charles M. Schulz’s story takes Charlie Brown and company out of the comfort of their own neighborhood and puts them into the wilderness racing for not just camp pride but in fact for their own lives. Because it is such a foreign setting for the Peanuts gang, it also forces Charlie Brown and the rest of the Peanuts gang to band together in order to survive. As ominous as it sounds, it is all entirely family friendly. Even more interesting to note is that the adventure forces Charlie Brown to show a side that was otherwise very rarely put on display in any of the Peanuts special before or after. Schultz even allowed Charlie Brown to end up on top for once. While there were some instances in which he came out on top in other Peanuts specials, those moments are rare. This being one of those rare instances, it makes the story all the more special. And together with the rest of the story, it makes the whole of the script behind Race For Your Life, Charlie Brown the key element that makes this DVD worth the purchase by any Peanuts fan. Charlies Schulz’s script for Race For Your Life, Charlie Brown is one of the key elements that makes this movie worth the purchase by any Peanuts fan. It is not the only reason that audiences will enjoy it, either in its new DVD release. The movie’s overall look and sound is just as worth noting. And it will be discussed shortly. For now the focus will turn to the movie’s one glaring negative.That negative is the fac that the movie’s presentation is a bare bones presentation. There is no bonus TV special. There is no feature offering any background on what led to the story’s creation or any other bonuses. All audiences get aside from the movie is the movie’s original trailer. Had this piece been released like this from say Warner Home Video, that would have been expected. That’s because of WHV’s track record in recent years with both releases for families and grown-ups alike. But having been released by Paramount, one of “Hollywood’s Power 5 Studios,”it comes as something as a disappointing surprise. The movie comes in at a little more than an hour. So that had to have left some room for some extras. For whatever reason though, someone at Paramount decided not to include anything extra with the movie other than its trailer. One can only hope that when and if Paramount releases another Peanuts movie or TV special on stand-alone Peanuts movie and/or feature it will include at least a little more than what this one has offered audiences. The fact that Paramount has offered audiences very little other than the original trailer for Race For Your Life, Charlie Brown as a bonus to the presentation is somewhat disheartening. It is disheartening considering the fact that every previously released Peanuts feature has included at the very least a bonus TV special and a little bonus featurette offering insight into the given presentations. As much as the overall lack of any bonus material hurts Race For Your Life, Charlie Brown’s overall presentation, at least audiences can look to the overall look and sound of the movie in its first-ever DVD presentation. It is presented in full 16:9 format instead of the standard 4:3 with the black bars on either side. What’s more it looks and sounds just as good as it did in its debut roughly thirty-eight years ago. This is something especially important to note. It is important to note because in comparison to some re-issues out there, said re-issues show that very little effort was taken to properly restore them. They look scratchy and sound just as bad. But as in the case with every previously released Peanuts feature, this one looks and sounds just as great as it did in its debut. Nothing was lost along the way in terms of updating the soundtrack and footage. That continued dedication to properly presenting Charles Schulz’s beloved Peanuts features coupled with the “movie’s” original script makes Race For Your Life, Charlie Brown well worth the purchase even despite its glaring lack of any extras. 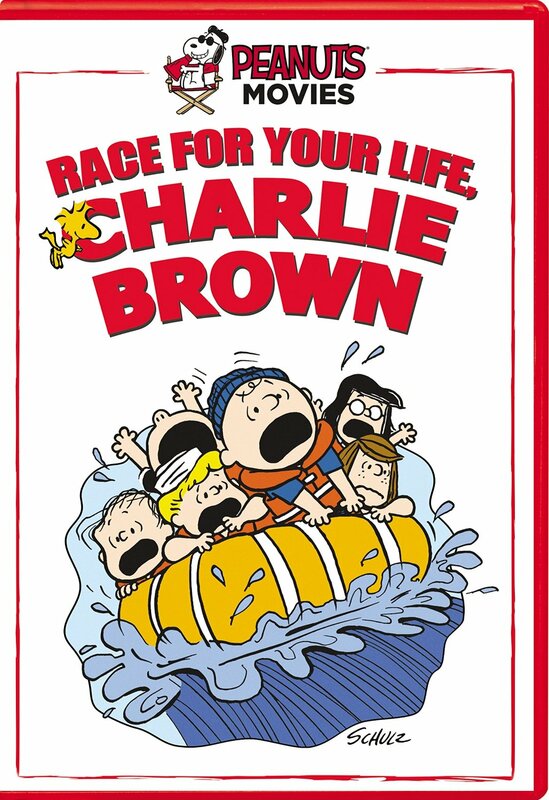 This being noted, Race For Your Life, Charlie Brown may not be the year’s best new DVD for children and families. But it is at least one of the year’s best. The rumors have finally been confirmed and one piece of the puzzle is now in place for Megadeth’s album. 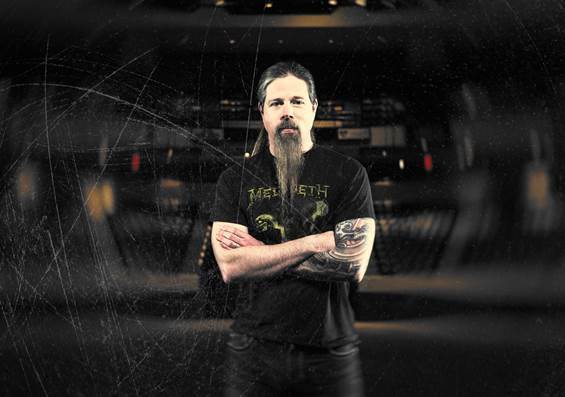 Lamb of God drummer Chris Adler has officially confirmed as the drummer for Megadeth’s next album. The confirmation comes after rumors swirled around whether or not Adler would take the place of recently departed drummer Shawn Drover. This is not the first time that Adler has been the center of some major rumors. His name was recently thrown into the mix after former Slipknot drummer Joey Jordison was replaced by a then-unnamed drummer. It was widely speculated that Adler was the man responsible for the drums on Slipknot’s new album .5 The Gray Chapter. But it was later revealed that drummer Max Weinberg’s son Jay Weinberg had taken over drumming duties for the band.